Some of you may have seen the recent documentary, “Bouncing Cats”, which focuses on the work of a rapper and all round b-boy extraordinaire called Abramz. 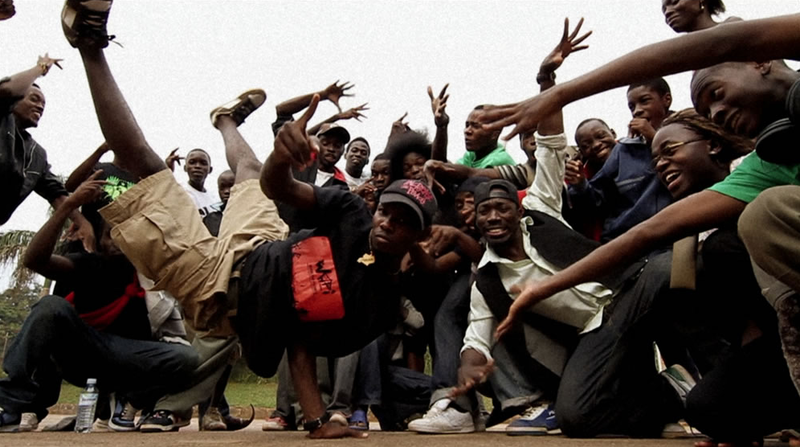 Abramz started a center in the capital of Uganda focusing on dancing, rapping, b-boy culture and the arts in general, to help give kids in need an activity, a focus and an outlet. He has since expanded his operation to include the whole of Uganda, even the North, which is perceived as extremely dangerous and hard to visit. All in all, a pretty awesome guy who has risen from his own tough childhood to give back to his people. Its a great documentary too, and you can watch it here. Anyways, in the summer I will be traveling to Uganda, and as I always like to pack light on such trips, we have the possibility of filling our two suitcases with donations for the center he is independently running there. I’ve been in touch with him, and we will meet in Kampala during our first days there, where I can hand over the bounty that we will hopefully have collected for them! I myself have already found a few things like laptops, music equipment etc. that I am going to bring over, but I decided to open up the invitation to others…as the more the better! Since making the documentary, they have expanded their work into other areas of art such as photography and visual arts, so what you can give is quite flexible. I know most people have old phones or laptops lying around – so come on guys, make use of them! Specifics that are needed include laptops, music equipment, headphones, digital cameras, phones, or anything else you feel might be useful. If you feel you have something you would like to contribute, please write to greg@greghaines.co.uk for further info.